If you don’t have a bad boss now, you’ll have one soon. Use power for personal advantage. Is that the type of person you want to fight with? Kissing frogs only works in fairy tales. If they’re truly a bad boss they resent your efforts to transform them. Don’t expect them to change and stop trying to change them. Don’t do anything more until you accept who they are. If you really have a bad boss, don’t try to make them a good boss. The personal qualities and behaviors that enable you to thrive under a bad boss take you far in life and leadership. Find a way to get on their team unless they’re unethical, immoral, or criminal. Adopt their priorities, preferred methods of communication, and values. 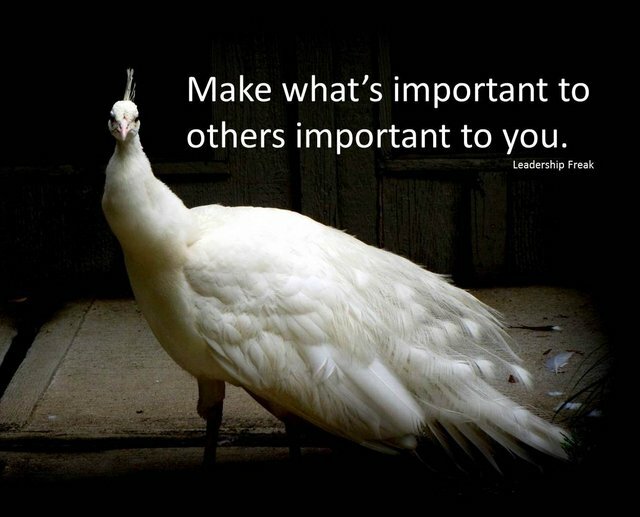 Make what’s important to others important to you. Every time you feel like complaining, brag. Build a positive presence by bragging about others. Talk about the accomplishments of your team and colleagues. Connect with someone – outside your organization – who succeeded with a bad boss. Don’t gossip about your boss to your colleagues. Turn away from frustration and toward the future. Frustration is a great motivator as long as you don’t get frustrated with being frustrated. Frustration with the past ruins the present. Release bitterness and open your heart to approaches that focus on your behaviors not theirs. Every excuse you make for negative attitudes and poor performance undermines your future. What suggestions do you have for thriving under a bad boss? Read more suggestions on the Leadership Coffee Shop. Ahh, one of my favorite subjects 😉 I would add, remember, your boss is just an imperfect human being just like you. And… you have more power in the relationship than you may think. Do everything you can to open up lines of communication so you both grow. I’ve had bosses that I once considered “bad” with some bold discussions and compassionate nurturing turn into lifelong mentors and friends. Thanks Karin. Great insights. I find your book “Overcoming an Imperfect Boss” very helpful and optimistic on this topic. Glad you stopped in. Thanks so much, Dan. I appreciate all of your support. I like “The Turn” — I can easily become over-emotional and thereby lose focus, we need to remind ourselves that adapting need not be compromise or defeat.. Thanks Ken. “adapting need not be compromise or defeat” = gold! what do you do with the ones who are immoral and unethical and possibly criminal…. I mean if Human resources won’t follow their own policies – what do you do? They just keep putting layers of other administrators between the “Bad boss” – and employees who complain. Thanks Cdreamgirl. It’s such an interesting question with answers that range from blow the whistle to find a new job. I’m staring a new conversation on Facebook to see what feedback you might receive. Bad Bosses in whose eyes? Tough to become judge mental, of these individuals can be complex to say the least. They are in power because someone put them there that seen a value in that Boss or they are the Owner. We as Associates/ employees can make or break a Boss/employer. Find your limits and make the best of it, maybe one day you will be the Boss, being the Boss is not as easy as we may perceive the option to be, until you have walked in there shoes and talked the talk, perhaps lay back and learn what you see them do wrong and correct when the opportunity presents itself. Happy Friday.. Thanks Tim. I’m glad your brought the issue of perspective to this conversation. We should remember that when we complain to our boss’s boss about our boss…that person likely hired them. Mr. Glass’s comment is good in that it attempts to look from “the other side’s” eyes. As much as I may think my boss is bad, could it be that I have shortcomings that contribute or create that badness? Somewhere in all these replies there’s the comment that you can only control your personal actions and that’s what needs focus. So use the comments in the lead part of this blog that are self focused and avoid the blaming and finger pointing that inflame others (in addition to yourself). I’m a boss and know there are parts of my style that inspire some and discourage others…at the same time! I can’t be everything to everyone all the time. I attempt to hear and encourage every one of those that work for me. Unfortunately, I don’t always succeed at that and I suppose some out there consider me a Bad Boss because of it. But there are some Bad Employees, too, and I struggle to deal with them just like those of you who struggle with Bad Bosses. As a boss, there’s always multiple sides to every story and you have to embrace that fact. Do the same when considering whether your boss is Bad or not, and accept your part in the big picture! Sometimes bad bosses are brilliant individuals with poor social skills. They struggle with communication and leading the decision-making process. In this case I believe it’s important to leverage the power of the team in an effort to hold the organization steady. And although this is not a sustainable practice, if the team is strong enough and commitment to the overall mission is deeply engrained, employees and other Organizational leaders can still find hope and happiness in their work. In this case, the team and the mission are the drivers. Thanks Jo. Love your take on this. We might want to run away from people with frailties. You’re suggesting we run toward and gather around. Who wouldn’t want to be part of an organization like that? Really great point. I struggle sometimes as an employee and as a boss…..bosses can be afflicted with absolute certitude and that can be challenging to manage with diplomacy…and to translate into action. “Sometimes bad bosses are brilliant individuals with poor social skills” also gold! Absolutely true and so hard. I actually had this conversation with my daughter last night about a difficult teacher and was sharing with her how hard this is to do. It is so emotionally difficult to get past, “it’s not fair,” “if he/she would just,” and “but he/she doesn’t” to get to the changes you need to make in yourself to cope and move forward. Thanks Katie. You got what I was getting at. Bitterness closes our mind but worse it closes our heart. We start doing things that sabotage ourselves. The dumber we get, the dumber we get. I am very fortunate in that I have never had a bad boss. I’ve had different ones, with different styles and different desires for how they were kept informed (always minimize surprise!) but most expected me to share information and give them feedback and do what I had committed to do. Knowing what I know now, I would have been a Really Bad Employee if I had been forced to work for a Really Bad Boss. Jim Clifton at Gallup said that his data supported one main conclusion — that 7,000,000 managers should immediately be fired because they are such lousy managers of people. That is what his surveys clearly showed! Thanks Dr. Scott. “I would have been a Really Bad Employee if I had been forced to work for a Really Bad Boss.” That’s the trouble. We let bad bosses make us look bad. We do things that we normally wouldn’t do like footdragging and gossip. Ugh! Todays blog is a useful one, however, “it’s an unfortunate one”. Anyone who works long enough will have the unfortunate displeasure of working for a bad boss. Your advice is excellant in regard to dealing with ‘Bad-Bosses’.Bad Bosses sap the life energy out of ‘Good People’ who try to make a positive difference. To keep one’s sanity, you may have to face the fact you will no longer have the capability to be as effective or efficiant as you once were. “Get used to it till the bad boss is gone”. Thanks SGT. Great seeing you. Yes, it’s unfortunate for organizations for sure. On the other hand, many of us, including you, I’m sure, are better leaders because we’ve had bad ones. Thanks again Dr. Scott. I hear you on thrive when it comes to performance. If we include the opportunity for personal growth, we may not be thriving but we’ll thrive in the future because of it. Am I being too optimistic? This is a very real occurrence, and what is so unfortunate is that good people suffer at the hands of these “bad bosses”, folks who are uncaring, inept and just there to be there. I honestly think that the unemployment laws need to be changed, employees who have been on the job for a length of time should not be simply dismissed as “not being able to follow directions” employers should have to prove that the employee is no longer able to get the job done, the laws are antiquated and are there for the company not the employees. If there is not due process and documentation this idea of “at will” for an employee is just WRONG and really should be looked at, why are these laws so so backward? Thanks Debbi. I bet you’ve felt the sting of a bad boss! Your comment suggests getting rid of bad bosses. Lots of things I’m reading validate the powerfully negative impact that only one bad apple can have on teams! Why can’t we be simply assessed by our skills and abilities, if you’re given a task and you complete it without issue then why can’t that be the indicator, you do your part you come to work everyday, you come to work on time, you go along with the group social events you work at being a team player but then there is one or two things they (bad bosses) suddenly do not like about you, they complain you over dress they want to wear jeans and cutoffs to work you chose something a little more professional why should that be an issue. How about bosses who do not have their own mind but rely on others to help them make decisions bad ones. To me the ultimate issue is not that there are “bad bosses” no one in the world is perfect, the issue is that you are simply trying to keep your job, so you may provide for yourself and family and here comes some totally irrational and irresponsible excuse for why you can no longer have your job. Again, without the proper documentation that documents an employees inability to get the job done, employers should not have it so easy to simply dismiss a person. The rules need to change which holds employers accountable. If I am such a bad employee I should not be eligible for unemployment, to simply say someone is not a good fit any longer is just down right unethical and wrong. I once worked for a boss who’s primary method of communication was yelling. He managed by fear and intimidation. I found his behavior to be extremely unprofessional and inappropriate for our work environment. Nevertheless, he was my boss so I committed to responding professionally. I continued to work hard and put forth my best effort. I found the best way to communicate with him was to be direct and prepared with facts. I learned quickly not to take his approach personally. I recognized that I was not going to change him or his behavior. I took responsibility for myself and the things I could control, my attitude and the quality of my work. He eventually received some coaching from his manager and human resources on how to interact more appropriately with his employees. I really love all the messages here. I can’t speak for having an immoral or unethical boss, as I’ve been fortunate to not have that experience myself. But as far as a “bad” boss, I think it’s important to reiterate to always look for the good: their good and the good opportunities that will come to you from working with them. Never overlook that your very presence in working with them could be so you fill the gaps of their weaknesses (the things they’re bad at). It could be that their strengths and your strengths combined as a team pack a real power punch. After all, there’s something that got each of you to your current position. I also like to learn as much as I can from others, even if it’s to not do what they do. There is always something to gain from every situation. Be flexible, do all you can for your part and always give them the same consideration and respect you give to everyone else. Sometimes others learn from your steadiness by observing that you give everyone the same respect, regardless of their position or status. Respect goes a long way when you give it in earnest. As a leader, you should. As a person, you should. Don’t overlook your ability to impact others positively, even your boss (whether good or bad boss). That includes coaching upward – you just might coach your bad boss into being better; even much better. Sometimes people learn and grow much more than you think they can. That includes your boss and that includes you. For me, there’s a big difference between a bad or ‘lousy’ boss and an abusive and unethical one. Someone who simply has poor social skills or has inexperience…those can be corrected. Or it’s easier to go the extra mile to work through the communication barriers in order to be able to understand wants/needs/expectations etc. Also, don’t work for a boss you can’t love if you can help it. If you can’t help it, if you have no choice… that’s more of a ‘slavery’ relationship then anything else. And who can thrive when you have little to no power? Thanks for the share Dan. I like #3: Gratitude for helping us to develop positive qualities. Every interaction with bad boss should make us better person, not bitter person. How about a well-intentioned boss who is a good person, with poor boundaries and communication skills? This is my first experience with this type of person. Wonderful guy, but he tries to fix everything for everyone and his communication is unclear. Yes, we’ve even discussed this with each other, and he doesn’t recognize his poor communication style. Thanks Em. You’ve described the sincere helpful boss who has gone off the rails. When I’m around someone who helps too much, I ask them to leave. Can you get him focused on other things so that he keeps his nose out of things he shouldn’t be involved in? Could you point his sincere desire to help in a area that really needs his help? I think there is a lot here that can help point us inwards first to make sure we are in the right place. Having an “attitude of gratitude” puts our daily context in the right shape. Having said that, I am curious how one would go about ensuring that an organization is aware of the effects stemming from not-so-great management? How does one provide senior management/HR feedback without coming across as a complainer? The sustainable well-being of an organization needs to have good leadership, but without shining light onto issues, there is a risk of perpetuating ineffectiveness and talent loss. its the heart touching subject in private sector in present time. I am working in pvt sector from last 15 yrs and I often face this problem in carrier . Thank you. I needed to read these comments. After two years with my current boss, my attitude, my work, my sanity have all suffered. I don’t know if I can get back on track. This thread has definitely given me hope. Thank you! This is so timely for me. I don’t have a bad boss but for the first time my values are at a slight misalignment with the organization. It’s been difficult for me to stay focused. This will really help me keep things in perspective and help me grow through the experience. Thanks Santos. It’s great that you see what’s happening. You have my best for the journey.